Prasad Deshpande - Prasad helped us a lot by testing out his applications against AS 7.0 CR1 and reporting a lot of issues. He has been very patient in testing out the fixes too. Infact, Prasad reported a very serious issue related to xerces isolation, just a few days before we released 7.0 Final. Thanks to him, we were able to identify the issue and provide a fix to that critical issue. Juergen Zimmermann - I said this once before, when AS 6.0 Final was released, and I'll repeat it again - Juergen keeps using our latest versions of JBoss AS and other projects and always reports a lot of issues. We are thankful to him for doing that. Most of the times, he's the first to report any issues with the lates nightly builds. He continues being one of our most valuable community user. Oved O - Oved started porting his applications to AS 7.0 CR1 and reported various issues he ran into while doing so. We fixed most of them. Thanks to him, we were able to identify and fix an issue in annotation scanning on EJB business interfaces. Gerry Matte - Gerry started porting/testing his application against AS 7.0 CR1 and kept providing us feedback. He was patient enough to try out some suggestions to get his application/configurations working, even during the absence of some specific documentation. We still have to answer a few of his questions, related to configuration, but hopefully we'll be able to provide him with as much help as possible to make his experience on AS7 pleasant. 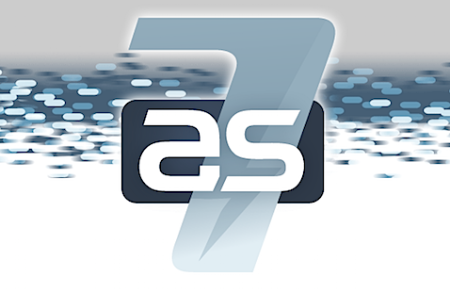 Francesco Marchioni - Francesco helped us by testing out his applications against latest releases of AS 7 and also by writing tutorials about AS7. Infact, he seems to have even written a book on AS7 administration and configuration. Now, that takes some efforts to keep up with the fast moving AS7 development work! Good luck Franceso with your book! Matt Drees - Matt started testing AS7 very early, even before CR1 was released. He helped us by reporting issues and possible improvements in Seam applications on AS7. Thanks to him, we were able to provide better support for Seam applications on AS7. These are just the users who we noticed in the forums. There are many other users who directly reported issues in our AS7 JIRA. We thank them too. So a big thanks to all of you and others (whose name I might have missed) who have helped us in releasing AS7. We hope to see you around continuing to extend your help in our upcoming AS7 releases.